Kate Spade, the American fashion design company, recently announced that its sale associates would be referred to as "muses" from here on out. This change in perspective comes at a time in which Kate Spade is looking to transition into a lifestyle brand -- one that offers more than just colorful clothing, handbags, and accessories. Aside from having admiration for this new initiative, it got me thinking about the role of muses in the work of a marketer. Sure, we all have a vision -- but so do our clients. While we're pulling inspiration from here, they're pulling inspiration from there. See the disconnect? To ensure that the outcome of a project reflects both your intent as the expert and your client's wants and needs, turn to mood boards as a means of creating context around a new campaign or redesign. 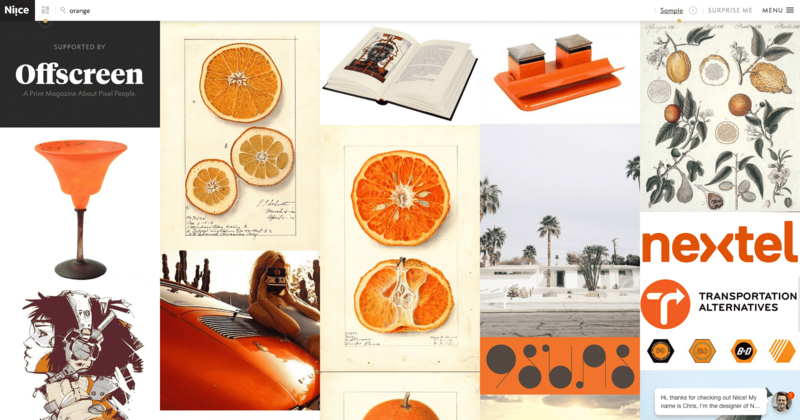 A mood board is an organizational tool that serves as a way to collaborate with your client while also effectively translating your ideas in visualizations. It arranages design elements -- images, text, etc. -- in a stylish format that conveys an idea in an easily digestible manner. To learn more about leveraging this solution to get everyone on the same page, check out this roundup of easy-to-use tools -- both paid and free -- that you can use to create your own graphic design mood board. Serving as perhaps the simplest mood board maker on the list, GoMoodboard requires no account to get started. 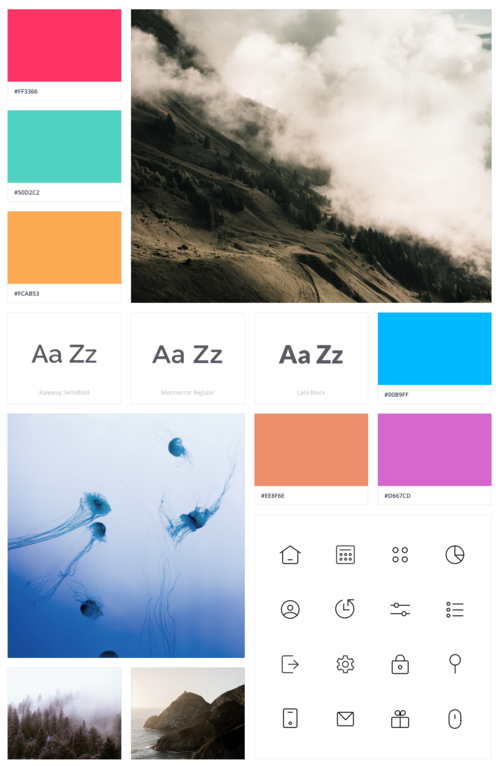 The free mood board creator -- developed by the freelancer community Crew -- allows users to get started instantly with either a blank template or one of the nine provided variations. Once a template is selected, you can drop images onto the screen, and they'll upload right away. You can also add a comment under each image after it's uploaded. When you publish a mood board, it will remain private, and you have the option to edit it if need be. If you wish to share it, simply share the link to make it public. Niice incorporates a ton of functionality and purpose into one easy-to-use tool. With Niice, users can source inspirational images, collect them in their very own private spaces, and leverage the drag-and-drop interface to whip up a mood board in minutes. Another noteworthy feature is the Niice Chrome extension. This allows users to grab and save images as they browse the web. Price: TryNiice for free with a three mood board limit, or upgrade to a paid account -- ranging upwards from $9 per month -- for more features and an unlimited number of boards. InVision is the world's leading prototyping, collaboration, and workflow platform. The software boasts a ton of impressive bells and whistles, one of which is the ability to create high-quality mood boards called Boards. Boards make it easy for marketers and designers to turn their ideas into meaningful, visual experiences to be shared with clients and colleagues. The tool allows for a lot of flexibility and collaboration by enabling features such as commenting. Price: Packages for the InVision design tool range from $15 to $100 per month based on features, number of projects, and number of users. 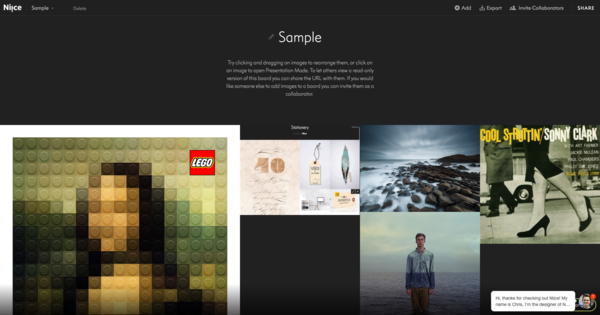 Canva is the perfect online mood board maker for creating a variety of creative assets. Once the framework is in place, you can upload images to drop into each segment and add text or graphics to create a customized visualization. To share the mood board with others, simply download it as an image or a high-quality PDF, or invite team members to join your account for more real-time collaboration. Price: There is a feature-rich version for free, or you can choose Canva for Work for $9.95 per month annually, which has more advanced features such asaccesscontrolsandshareable folders. Struggling to get on the same page with one of your clients regarding your vision for the new look and feel of their website redesign? 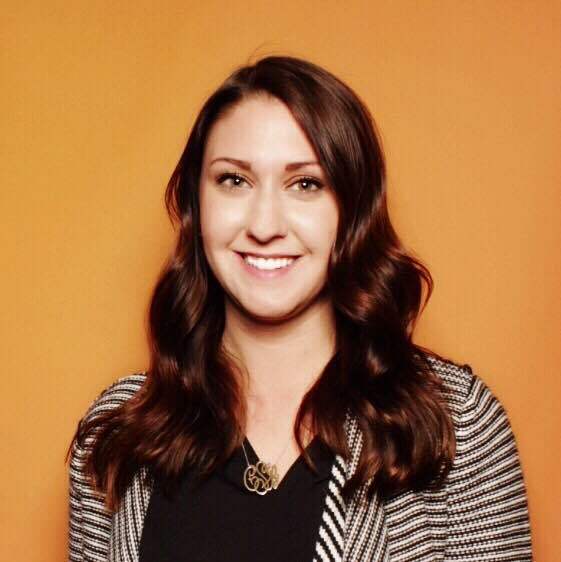 Can't seem to convey to your designers what you want your new homepage to look like? While Pinterest is commonly associated with DIY furniture hacks and Crock-Pot recipes, it actually serves as the perfect tool for creating a quick-and-easy mood board. To get started, you'll want to create a new board -- this can be either a public board or a secret board that can be shared with others for collaboration. Once your board is created, you're free to dig through Pinterest using its search functionality to uncover visuals from which you and your team can draw inspiration. Pull color palettes and different styles of typography that align with what you're looking to create. 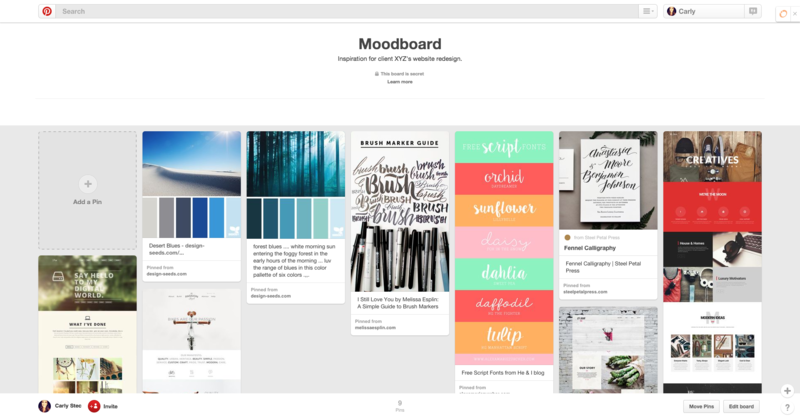 Have you used mood boards to collaborate with your clients? Which tools have you tried? Let us know in the comments section below.